Jindra Schmidt was born in Racice – now in the Czech Republic – on 24 July 1897. His father had a goldsmith’s shop there but both Jindra’s parents died when Jindra was only three years old. An uncle then raised him and his elder brother. From a very early age, Jindra was fascinated by painting and it was therefore no surprise he soon professed his intention to become a painter. But he did not get much encouragement from his uncle, who thought that being an artist was a rather risky and uncertain career path. It was better to learn a proper trade. Fate, however, lend a helping hand in the shape of an aunt from Vienna who, out of the blue, descended onto the scene, listened to the wee boy’s desires, and decided he should become an apprentice at her son-in-law’s shop, where the young Jindra could learn to be a wood engraver. That way, he would learn a trade and be able to be artistic at the same time. And so, Schmidt came to work in the Karel Kubelka workshop in Vinohrady, taking art classes in the evening. Even then he must have been interested in stamps, because in 1918 he created woodcut stamp designs for the newly founded country of Czechoslovakia, surprisingly in a similar design as the eventual stamps by Mucha. That same year, Schmidt managed to get a job at a printing and publishing house in Prague. 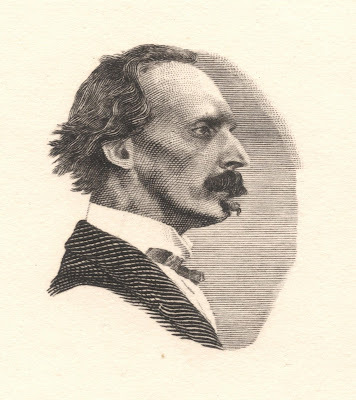 He stayed there until 1929, illustrating books with his woodcuts and engravings. Schmidt was then headhunted by the National Bank of Czechoslovakia where he started engraving banknotes. His work was so impressive that it still regarded as among the finest in the world. Highlights of his banknote engravings are the portraits of Peter Brandl and Peter Parler on Bohemia and Moravia banknotes of 1942. Schmidt would remain with the bank until his retirement some 33 years later. In the meantime, Schmidt also started engraving postage stamps. This was done outside normal working hours. There is some uncertainty around his first stamp engravings. Presentation sheets exist of the 1942 definitives for Bohemia and Moravia which include Schmidt’s signature, although not by his own hand. 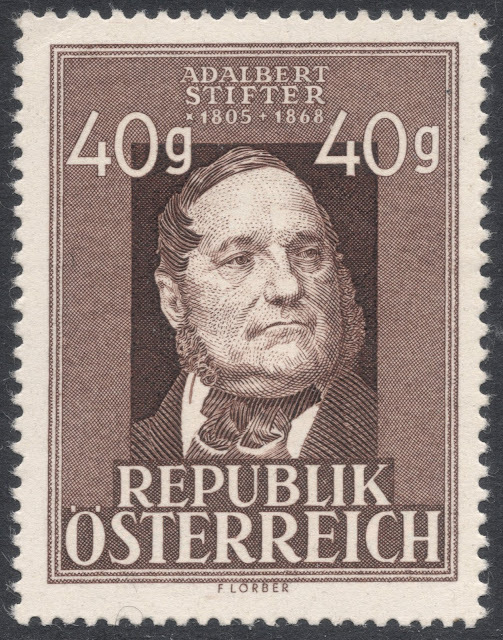 Pencil annotations state that the small format stamps from that set were engraved by Schmidt, with the other values engraved by Jaroslav Goldschmied. But most sources state that Goldschmied engraved the whole set. 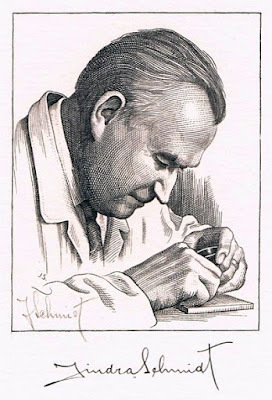 Goldschmied had been a stamp engraver for quite some time but still relied on others to prepare the preliminary drawings. It is known that Schmidt produced quite a few of those, so the generally accepted theory is that Schmidt was the ‘creator of the drawings’, rather than the engraver. 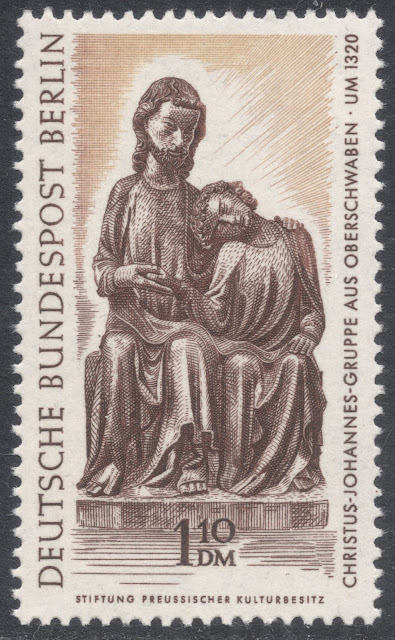 That would make Schmidt’s 1943 engraving, for a Bohemia and Moravia stamp marking Hitler’s 54th birthday, his first stamp. Soon after the war, Jindra Schmidt decided to sign his stamp work 'Jindra S.', rather than using his full surname. 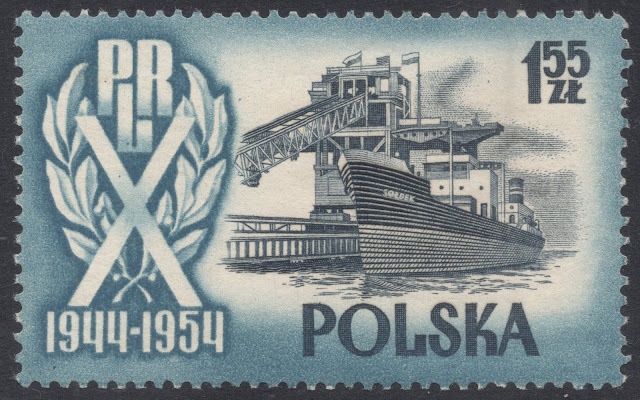 He later wrote that it had been some casual remarks about his and other engravers' German surnames overheard at the Ministry, suggesting people might think there were still Germans in charge of Czechoslovakian stamp production, which had made him decide to do so. 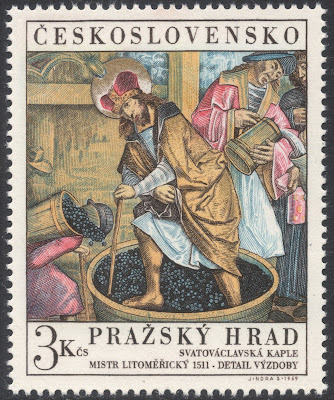 This was around the same time that we find the first fruit of the collaboration between Schmidt as stamp engraver and Professor Max Svabinsky as stamp designer. Svabinsky was a well-known Czech artist in the first half of the twentieth century, and a professor at the Academy of Arts in Prague. This must without a doubt be the most powerful collaboration between designer and engraver in philately. Not only were they close colleagues, with Schmidt translating Svabinsky's designs again and again into beautiful steel engravings, much to the joy of the Czechoslovakian collectors, but they were also close personal friends. In fact, every interview one can find of Schmidt’s, is just one anecdote and reminiscence of his work with Svabinsky after the other. From the very beginning of their philatelic partnership, Svabinsky recognised Schmidt’s talents of turning his designs into stamp engravings. In 1948, when Svabinsky had made a design promoting the 11th Sokol Congress in Prague, he asked for his design to be engraved by Schmidt and printed in recess. When the head of the printing works said it could not be done. Svabinsky asked Schmidt to go and try it anyway. Schmidt managed to create a beautiful engraving of the Allegory of the Republic and the stamp was duly issued in recess. Svabinsky was so happy with it, that it really cemented their mutual respect. While Schmidt was always keen to reproduce Svabinsky’s design as faithfully as possible, there was an instance where he had to make more than just the odd minor change. It was in 1957, when Schmidt was making the preliminary drawing for the Komensky issue. 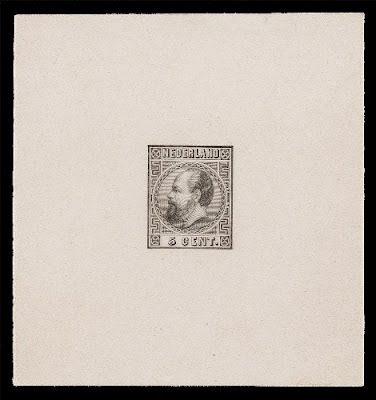 A misunderstanding with regard to the size of the portrait stamp in the set meant that Schmidt had to add quite a few millimetres to the design. He did so by lengthening the coat of the pedagogue. When showing his artwork to the professor, he never noticed it. However, Schmidt felt too much awe not to come clean about it, upon which Svabinsky said “You rascal!”, subsequently expressing his approval. 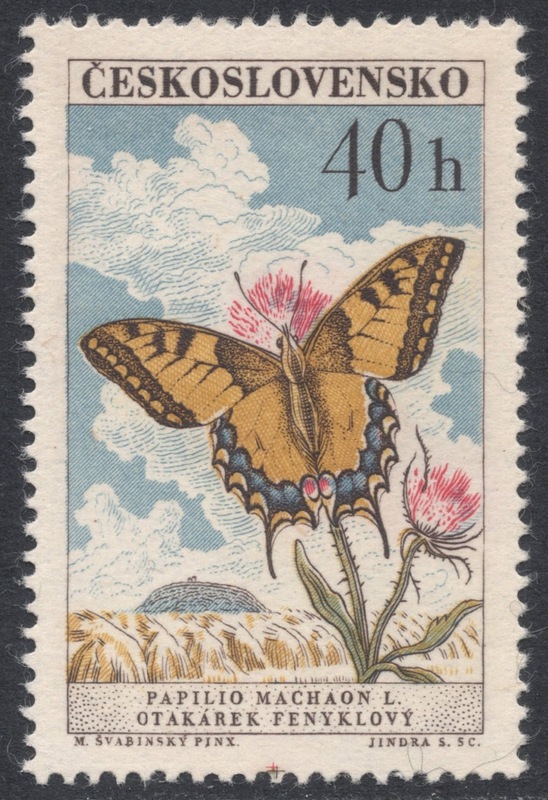 One of the last issues the two men worked on was the butterflies and moths set of 1961. 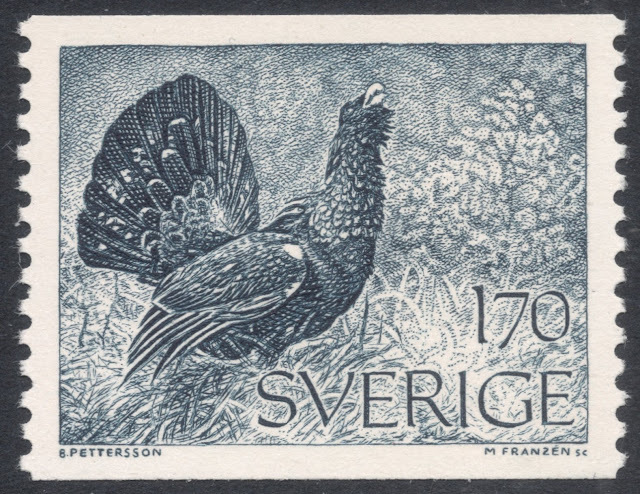 It was one of the first sets to be produced as a multicoloured printing. This required the production of various plates, each printing a different colour, with perfect colour registration being of the utmost importance. Svabinsky was very apprehensive, but Schmidt was confident he could pull it off. 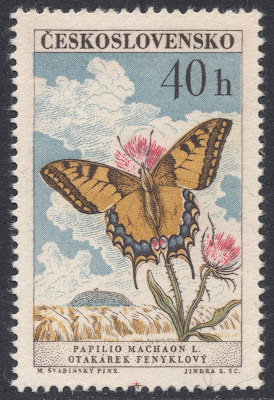 They tried one stamp from the set, the 30h depicting the Parnassius Apollo, Svabinsky’s favourite, first. As Schmidt had envisaged, it worked out fine, and the set became an absolute beauty to behold. 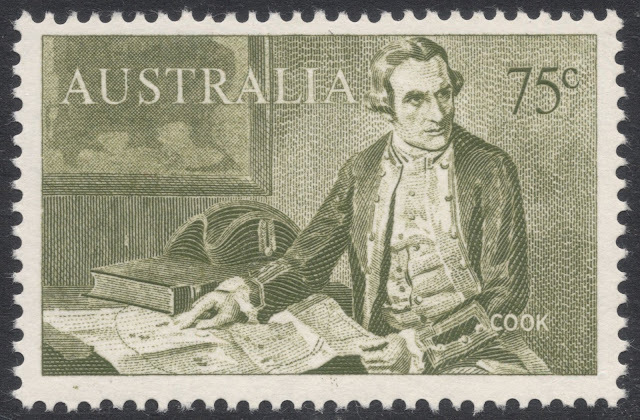 The work on this challenging set made Schmidt realise that he shouldn’t just be ‘doing stamps’ in the evenings but should try and make it his full-time occupation. After he retired from the National Bank, this was exactly what he did, but no longer with Svabinsky by his side. Svabinsky would pass away soon after the triumph of the Butterfly set. Even after Svabinsky’s passing, the two would remain linked together. 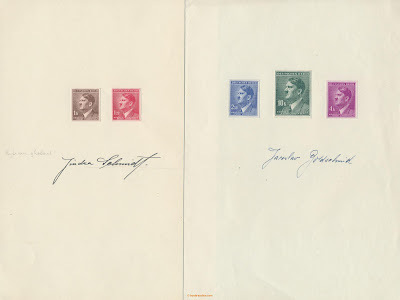 Svabinsky work would keep featuring on the odd stamp issue, and it would be still be Schmidt interpreting his work and turning it into stamp engravings. Out of respect for the professor, Schmidt would sign these stamps with his full surname. Back in the 1940s, on one of the very rare occasions that the two men did not see to eye, Svabinsky had said to Schmidt he did not approve of the latter’s decision to sign his work Jindra S. He argued that Schmidt had already made a name for himself, a reputation which he could possibly jeopardise or at the least set back, as people would have to realize the two signatories were one and the same man. Besides, the history of Czechoslovakia was riddled with artists having German surnames. How ridiculous would it be if we were to decide to change all those. But Schmidt had been adamant even though Svabinsky kept trying to persuade him to change his mind. And so, as a mark of honour, Schmidt signed those issues that posthumously honoured Svabinsky’s work with his full name. But Schmidt proved that he could remain an important engraver even without his sidekick. One only needs to look at the results of the annual stamp polls organised by the daily newspaper Mlada Fronta to see that he featured a number of times, both in the category ‘Most Beautiful Stamp’ and probably even more importantly, in the category ‘Engraver’s Best Interpretation of a Work of Art’. 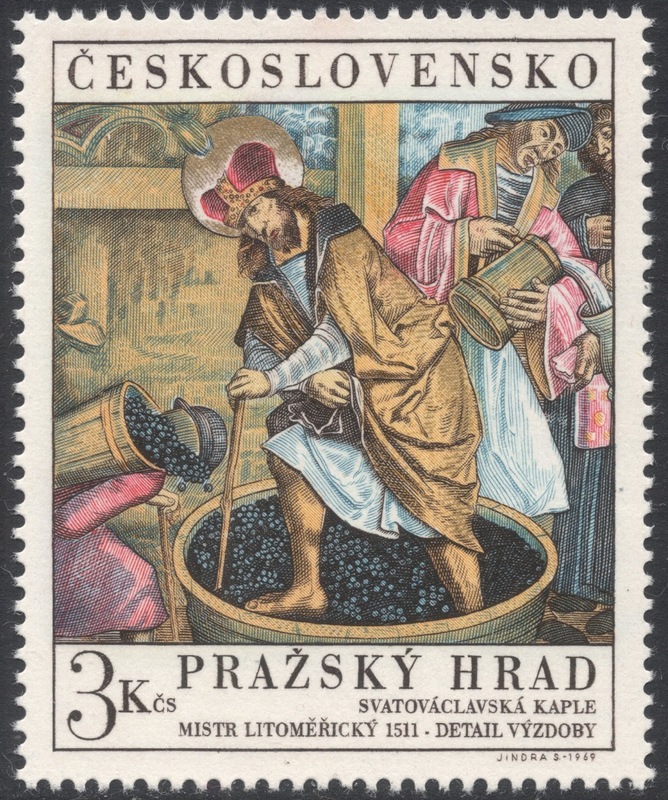 In that first category, Schmidt first won the award for his 1969 stamp depicting a mural detail of St Wenceslas from 1511, part of the annual Prague castle issue. 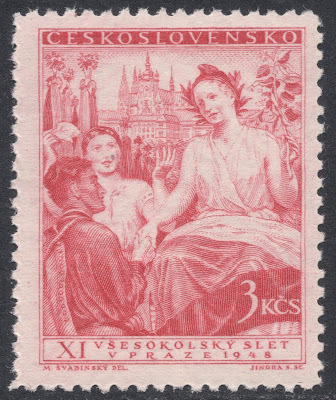 The year after, when the engravers interpretation category was first introduced, Schmidt went on to win that one too, for his Banska Bystrica Market stamp, part of the annual Art series. He would win again in 1973, for his interpretation of Svabinsky’s Last Judgement and in 1976, for his stamp depicting Bouda’s Oleander Blossoms. 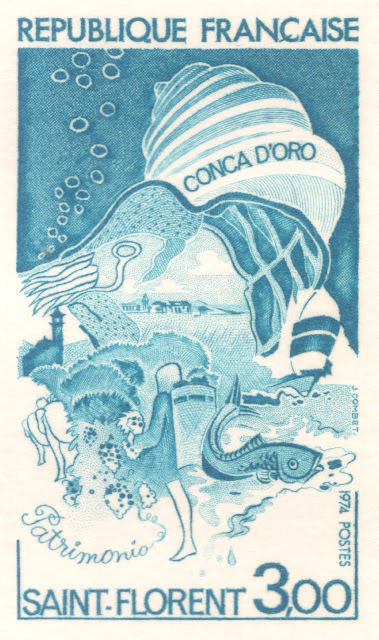 The Mlada Fronta used to produce special brochures each year, announcing the winners of their poll. 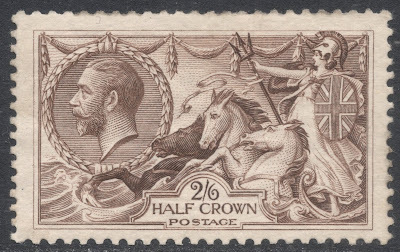 These used to include special souvenir sheets as well, with engravings based on the winning stamp designs, produced by the engravers of those issues. Naturally, Schmidt has engraved a number of these as well, and they form a visually interesting sideline to his collection of stamps. 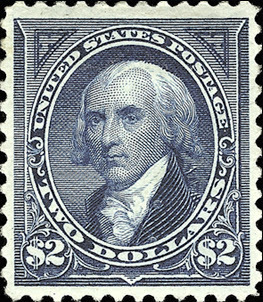 Even in his later years, Schmidt would remain active as a stamp engraver, with four or five issues appearing per year, until the - and his! - early 80s. Jindra Schmidt passed away in Prague on 12 March 1984. You will find Jindra Schmidt's database HERE.